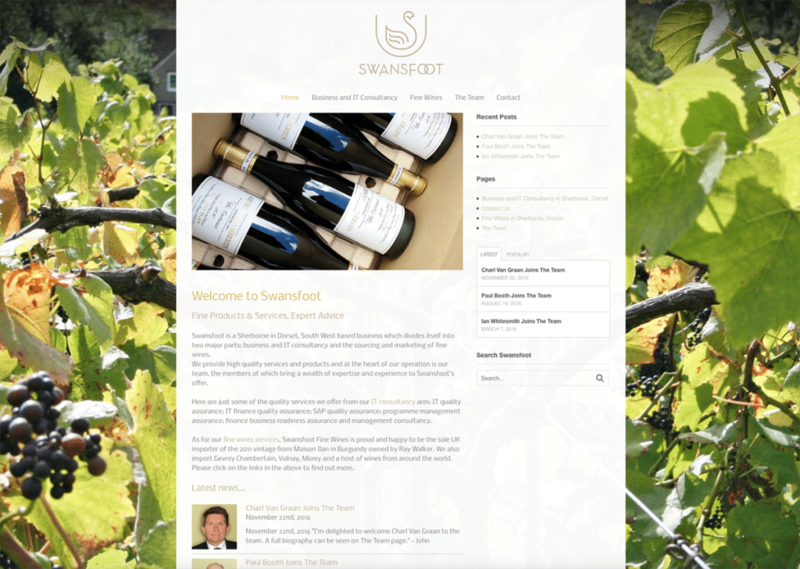 Swansfoot are based in Charlton Horethorne in Sherborne so they naturally came to Digiwool Web Design Sherborne for their design work, and I’m very glad they did — the whole working process was a joy. 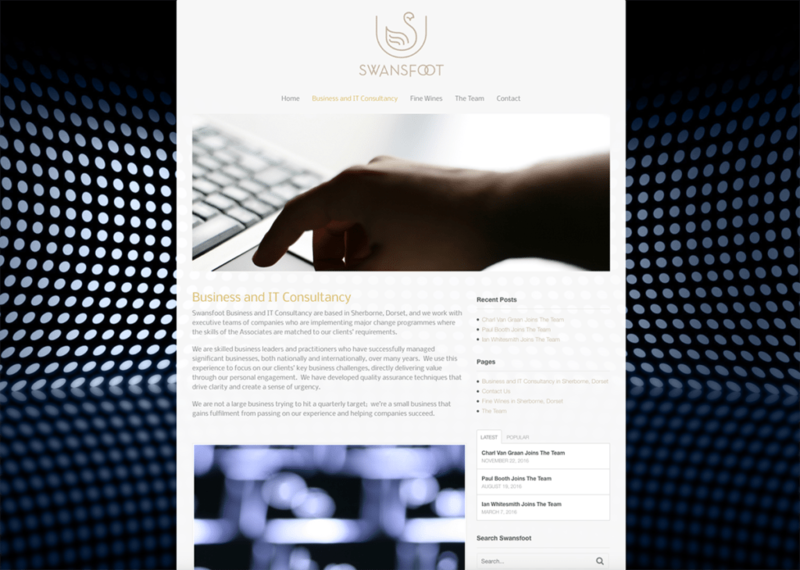 As well as the logo and business stationery assets, I designed and built an elegant and responsive website. 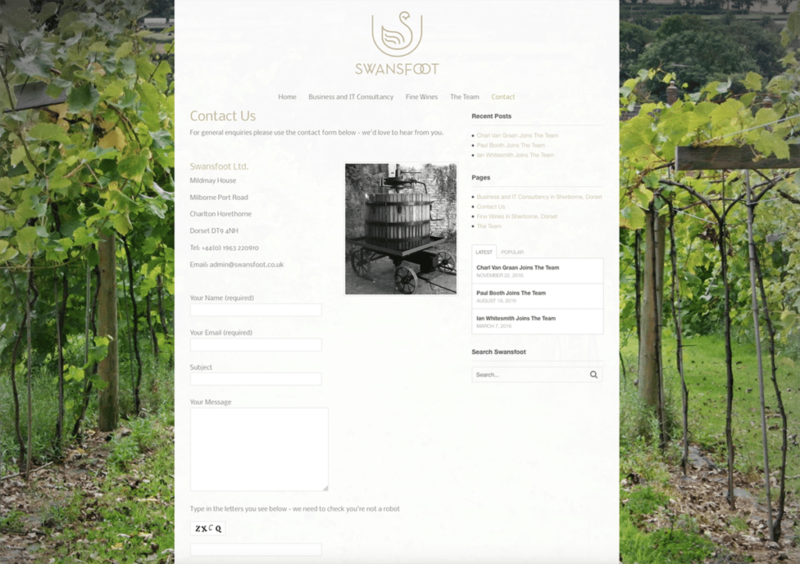 The logo consists of a swan in a crest-like shield to suggest heritage but which also discreetly evokes a wine glass. The wing of the swan suggests the ripples in a lake or in wine. The wordmark shows the letter ‘A’ and ‘T’ with their descenders below the baseline which alludes to the hardwork the swan does beneath the surface in order to gracefully move forward. The inter-linked letter ‘O’s again allude to heritage (it is an old ligature) but also to suggest ‘connectedness’ and close working relationships. A substantial project like this, where I have designed the brand identity from the ground up, benefits from having a set of brand guidelines. 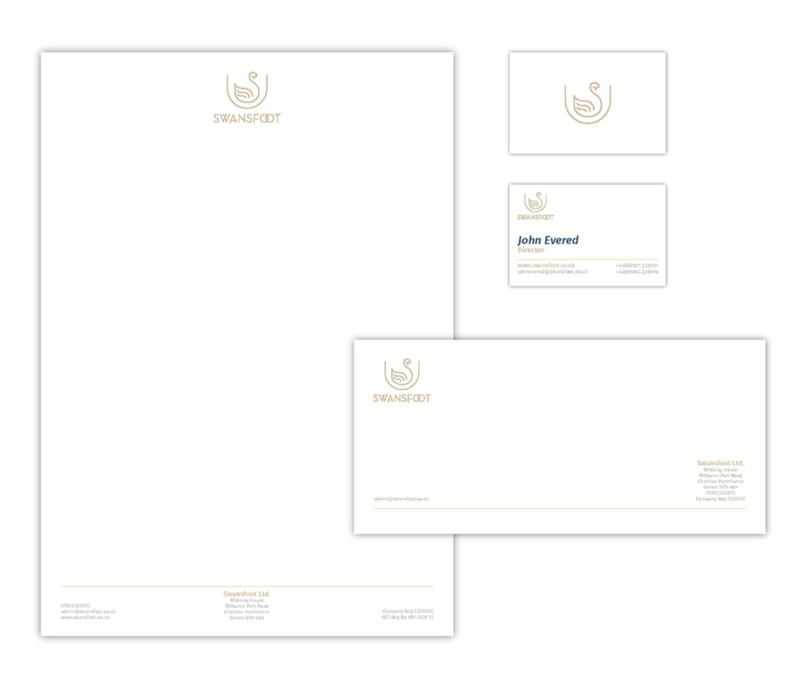 These give detailed recommendations on how to apply the brand assets for consistency in the business’s communications. 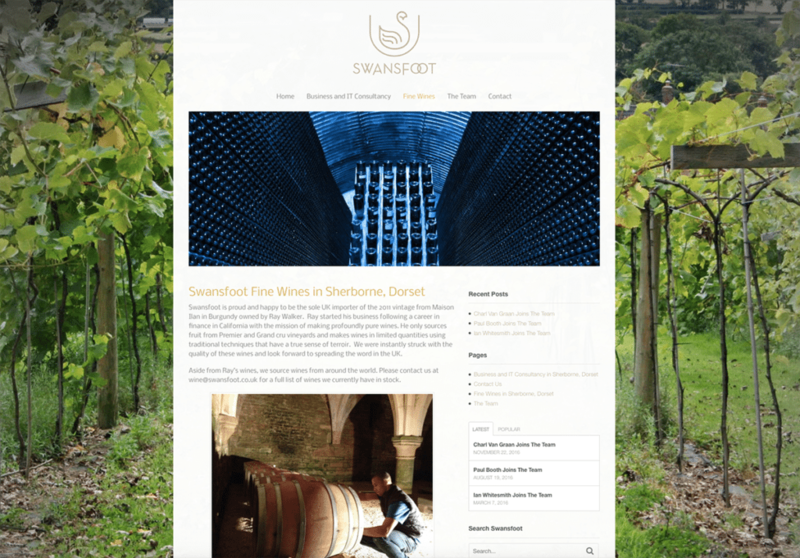 The Swansfoot guidelines amounted to a 44 page document and is a beautiful thing in itself. 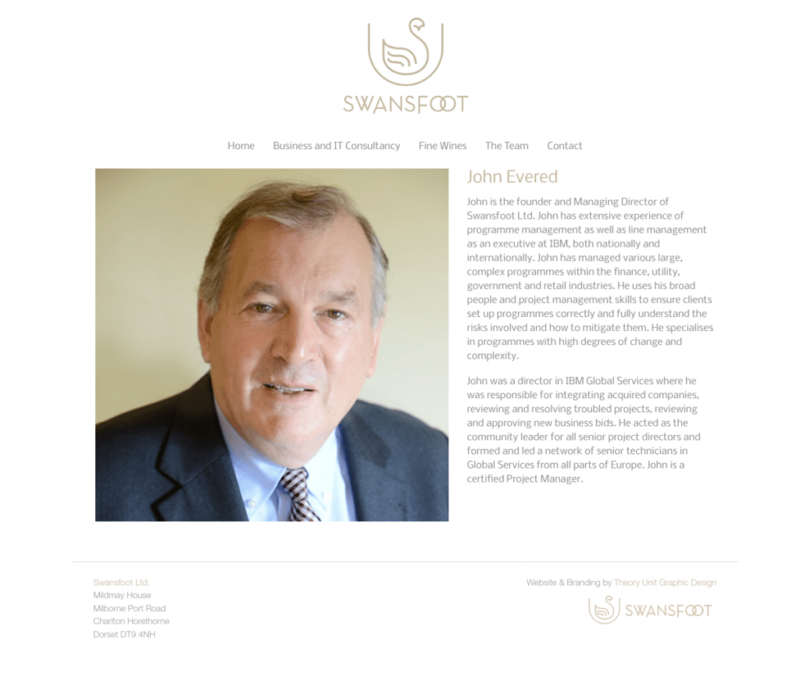 I think Swansfoot’s logo and website design is something to be proud of. 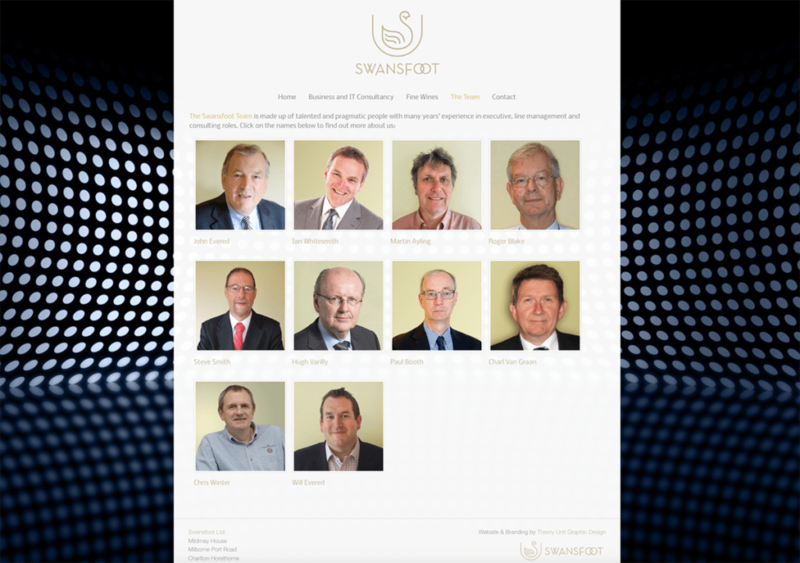 It’s the most often mentioned branding and website design out of all of my projects when clients are mentioning work on the Digiwool site. Click here to drop us a line!